Posted by Jon in News, Rehomed on Sunday 04/02/2018 16:20 UTC. Its not everyday that we manage to home turkeys. 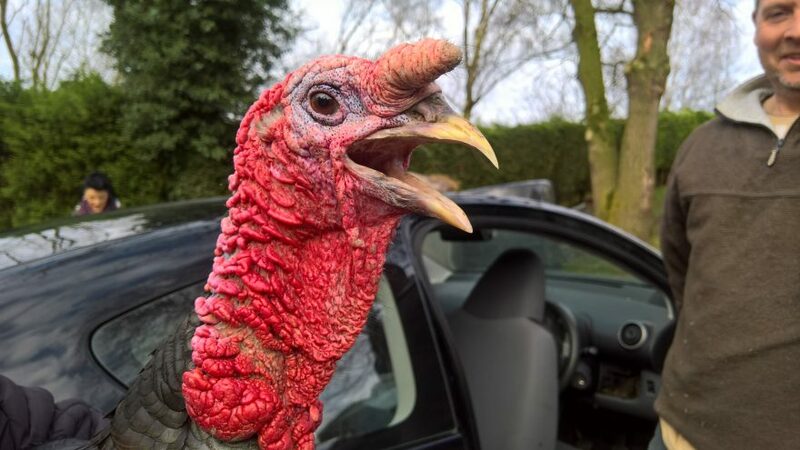 Well today one lucky boy (stag) and a girl (hen) turkey were homed. They have gone to a home where many of our rescue animals have gone over the years, we know that they will be loved and cared for. 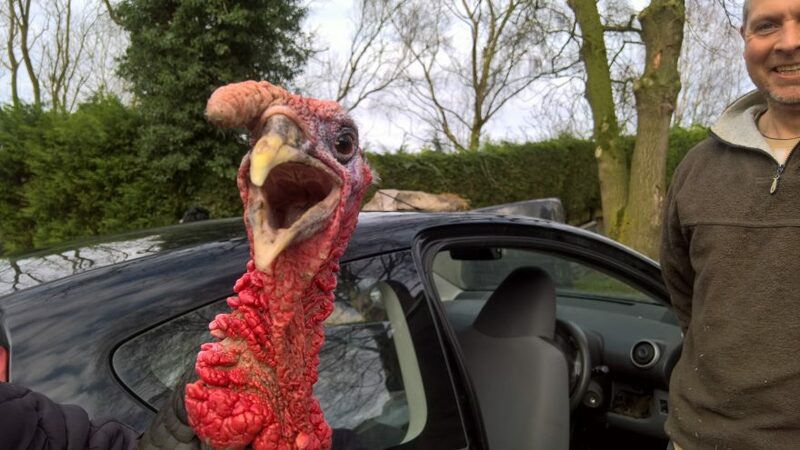 Turkeys are funny creatures and not always loved by all, at Brinsley we love all animals including turkeys. 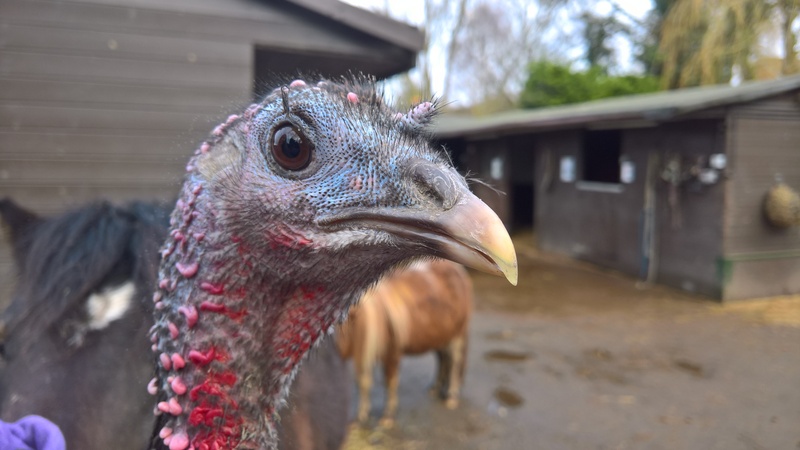 They do look a little prehistoric, the males often display by filling their snood and wattles with blood to bloat them. They walk around with their chests puffed up and they scrape their wings on the ground, whilst making a “boom” like sound. 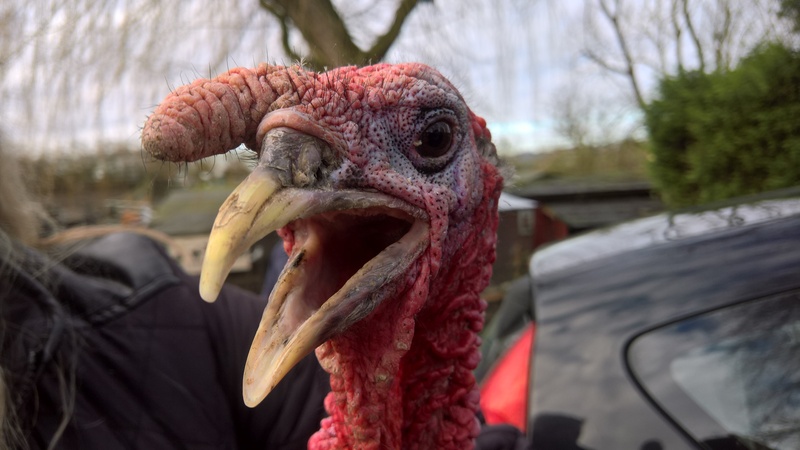 It might be strange to us, by the hen turkeys love the attention.